In today’s market everyone is looking for a “deal” and often those deals come in the form of a foreclosure. These properties are also known as lender-owned or bank-owned and are sometimes referred to by lenders and banks as “REO” for Real Estate Owned. Here in Central Florida, statistically, bank-owned properties sell for the lowest price on average (click here for the latest report). When a lender makes a loan, the borrower signs a promissory note. In addition, the lender requires that the owner(s) of the property on which the loan is being made give the lender a mortgage. 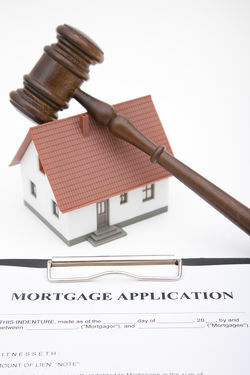 The mortgage serves as security collateral for the promissory note. It is possible that the signer(s) of the promissory note and the owner(s) of the property can involve different parties, such as situations where co-signers are used who don’t actually have any ownership interest in the property. A property becomes lender-owned when the borrower(s) stops paying the loan and the bank moves through the courts to take the property back pursuant to the mortgage. This process, from the first demand letter to actual possession can take up to 2 years in Florida – depending upon the circumstances. At the conclusion of the foreclosure process, the lender receives a Certificate of Title which allows it to dispose of the property. When the property is sold, the net proceeds are applied to the original promissory note and the lender then has the option to pursue the borrower(s) for any balance left over. There really is only one good one - they are less expensive. As stated earlier, lender-owned properties statistically sell below – often well below - the then current market price. Lenders are not in the business of owning real estate and often they are focused on getting the property off their balance sheet and turning the property into cash which they can re-lend. In addition, most often they are being pushed by a myriad of governmental regulators, analysts, officers and directors and shareholders to make it happen quickly. On the other hand there can be many downsides to a foreclosed property. Much more often than not, they need considerable work to make them habitable. Thus, these properties tend to be favored more by those who can see past the mess. Many borrowers, when faced with the inevitable have gone to “stripping” the property and selling off the parts where possible. In the more egregious cases the kitchen cabinets, HVAC system, lighting and plumbing fixtures, pool equipment and all of the appliances will be missing along with damage walls and flooring. In the milder cases, carpets, some fixtures and an appliance or two along with a deep cleaning will be all that is needed. However, the problem may not end there. It isn’t always what you can see that may end up costing the most. Lender-owned properties come with absolutely no disclosures, representations or warranties of any kind. This is understandable, since the lender never occupied the property. Thus a good, solid and complete inspection is in order. Roof leaks, mold and foundation issues tend to be the hardest to find and the most expensive items to fix. In addition, when making an offer on a lender-owned property be prepared to pay closing costs typically attributable to those usually paid by a seller. Often lenders will not pay any closing costs or only pay a few. Be prepared for your offer to be submitted by the lender’s agent along with several others and at this point your offer really becomes a bid. The most favorable offers come in the form of cash offers with short periods or no periods for inspections and quick closings with the buyer picking up the closings costs for both sides. Offers without either proof of having the funds available (for cash offers) or approval for a loan are generally rejected out of hand and not reviewed. Many agents have been instructed to not even submit offers without one of these forms of additional documentation. Do not be alarmed if the lender-now seller comes back and asks for your “highest and best” offer. This is an attempt to push up all of the bids. You should figure out what you are willing to spend and stick to it – and if you really want the property – submit that number it the first time. If you don’t get the contract – there will be others. If your offer is accepted – be prepared for an addendum from the lender-seller which most often is longer than the original contract ! It will contain all sorts of terms and conditions – most, if not all, of which tend not to be negotiable. Be careful as the terms and conditions of an addendum will supersede any language or provision in the original contract with which it conflicts. Even with all of these pitfalls, lender-owned properties offer some great opportunities for the right investor. Visit our website to search properties or call or email us today to discuss your objectives.